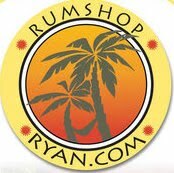 I asked this very cool guy that goes by the name of Rum Shop Ryan to write a guest post. It would only make sense he would give us a little insight on the history of rum. Thank You Ryan, Fins Up !!! As soon as long sea voyages became the norm, one factor facing the crew was that of drinking water. To survive the long voyages under the harsh conditions, significant quantities of fresh drinking water were required. At the start of the voyage, fresh water was taken on board in casks however it quickly became slimy and unpalatable. To overcome the problem, casks of beer or wine and later brandy, were taken on board, to be given to the sailors to ‘wash down’ the water. The longer the voyage, the more significant the problem became as these casks added to the ships load. Rum gradually replaced the beer, wine and brandy as the drink of choice and the Royal Navy issued every sailor with a half pint of rum per day. But sailors were smart people and many of them stored up their ration for days, drank it all at once and became totally inebriated or ‘blind drunk’ as we call it in the Islands. A popular sea shanty ‘What Shall we do with the drunken sailor?’ reflects the result of the rum ration. Due to the subsequent illness and disciplinary problems one Admiral Vernon of the Royal Navy took a decision to mix the rum with water – a half pint of rum being mixed with 2 pints of water and issued in two servings twice daily. This made him very unpopular with his men who renamed the mixture ‘Grog’ in disgust. (Admiral Vernon was known as Old Grog because of a grogram cloak that he wore). The term ‘Let’s Fire a Grog’ is still used in Barbados to this day although the Rum is also mixed with Coke, Ginger Ale, Soda Water. Citrus juice (usually lime or lemon juice) was added to the recipe to make the taste more palatable. Unknowingly the vitamin C contained in the citrus juice prevented the disease ‘scurvy’ from affecting Admiral Vernon’s sailors. Once this was realized, the mixture was adopted throughout the Navy and the British sailors were given the nickname of ‘limeys’ by which British people are still referred today. We can therefore credit Admiral Vernon with adding two words to the English lexicon, Grog and Limey. With a little more imagination and one more ingredient he may have also been credited with our fantastic and powerful Rum Punch Cocktail. Thanks for sharing the story of rum. Fins Up indeed!